Venue: Close-Up Cinema and bar (https://www.closeupfilmcentre.com), 97 Sclater Street, London E1 6HR. Home also to Vertigo magazine and a library of 20,000 films and books making Close-Up the most comprehensive independent film resource in London. A young pigeon fighter in Cairo leads his neighbourhood into the final battle. For the first time the legendary pigeon races of Cairo are captured on camera. 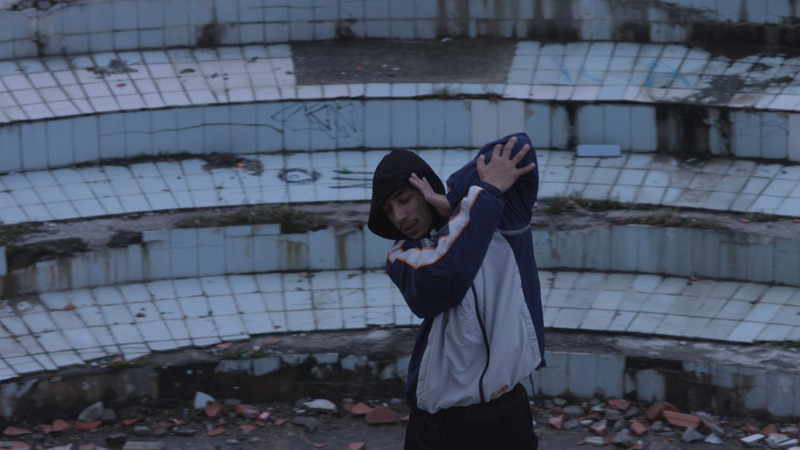 Move Freely is a documentary exploring dance as a life force within the marginalised Roma community in Belgrade, Serbia. This project brings together choreographer/director Wynn Holmes, cinematographer Andrew Amorim and journalist Julia Kidder with a focus on Roma youth as they transcend imposed boundaries through dance and performance. The project was filmed in partnership with GRUBB (Gypsy Roma Urban Balkan Beats) in Belgrade in winter of 2017. GRUBB is a Roma-based foundation that acts as a meeting point and a hub for Roma artists, youth leaders and educational specialists. How does renewable energy, which should protect nature, paradoxically threaten it? What are we willing to sacrifice to keep our energy-intensive lifestyles? Do we need to abandon the paradigm of permanent growth? Abu El Araby is a mythical character embedded in Egyptian culture and known for his glorious achievements and super powers. 1968. Based on the communist secret services archives and informant reports, this found-footage documentary on the invasion of Czechoslovakia by Soviet allies tells the story of a woman getting married to a man who went to war instead of their honeymoon. A documentary featuring french actor Vincent Macaigne (Tonnerre, C’est la vie!) and about a motion capture shoot of a video game. It is a poetic comedy dealing with what’s left of the intimate within virtual realities. Shot initially in Syria prior to the civil war, Wajd offers a window into the lives of three Syrian refugee musicians as they face their traumatic experiences. Verite footage of their daily lives weaves together with bittersweet musical performances, traditional Su ceremonies, and poetic imagery of a pre-war Syria that no longer exists. What unfolds is a cinematic meditation on loss, yearning, and faith. Having survived the journey to Europe, Ebrahim waits in a camp halfway between the home he loves and his new life in ’the promised land’, which appears less promising with every passing day. Wolfgang Sadowski was born in 1937 during World War II in Berlin. His childhood was about debris and survival. Fast forward to 2017 – a new world record in weightlifting had to be achieved. A rower recounts an eerie encounter at the waterfront. A happy coincidence, a meeting of three people rich in emotion and discovery. Yanie is 14 years old and about to be uprooted. His foster parents, who have cared for him since he was two, are retiring. The Social Services believe that his mother, in rehabilitation after a prison sentence, can’t take him back yet. His father is serving a 3 year prison sentence. So Yanie will join a new family. He has to start from scratch with the risk of ending up in a children’s home if things don’t work out. It’s another test. The film attempts to capture that moment when an adolescent chooses – or not – to construct himself against all the odds. On hot days you will find people sitting around their house observing and watching life pass by. What are they thinking about? A short story based on themes of loneliness and memory. Written and shot in Cuba over a ten day masterclass with Werner Herzog. The poetic observations of an Italian mountain village allow the viewer to enter another time zone. A place where the repetitive approach of time is influenced by the magnificence of the environment. A meditative cycle of time, pace and actions. Sarabande started as a personal documentary on the classical music virtuoso Petrit Çeku who back in 2014 was about to record the Bach Cello Suites in Spain. But then it became a road movie on borders and illegality, to later be wrapped up into a journey of two friends traveling between the invented ideas of Orient and Occident, past and future. Wonderful Losers – they are called ‘water carriers’, ‘domestiques’, ‘gregarios’, who sacrifice their careers and forego personal victories so their team leaders can win. The untold world of the true warriors, knights and monks of professional cycling. Filmed during the Giro d’Italia after a 43 year filming ban.